Surrounded in the studio by all sorts of discarded materials from the medication he was taking at the time, found objects, fruit, etc. 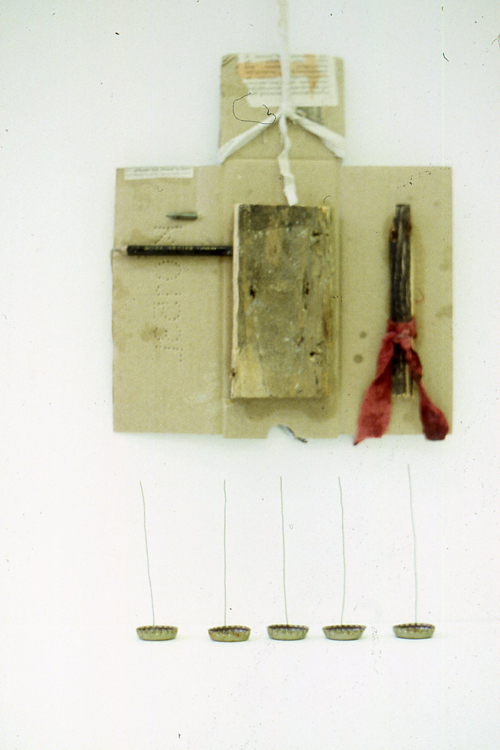 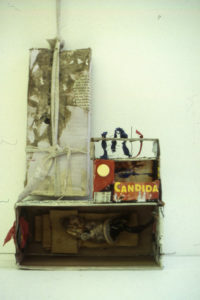 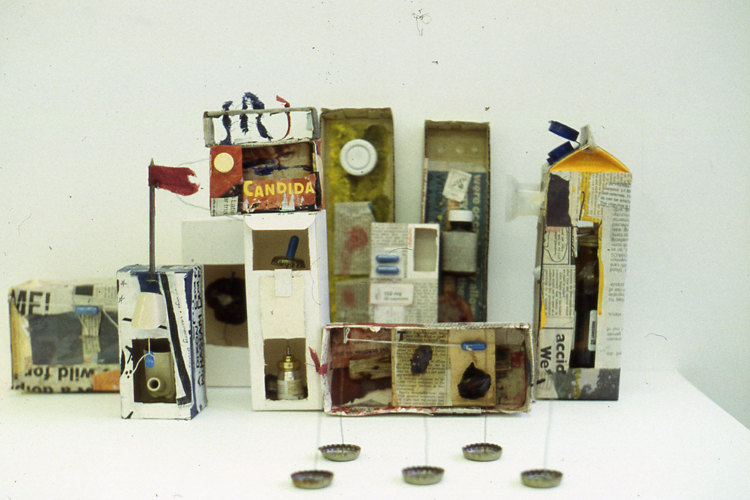 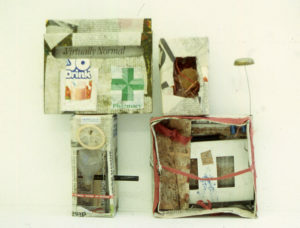 these Series of Boxes were the result of a time when the artist was trying to make sense out of his desperate situation. He describes his working space at the time as a playground for ideas. 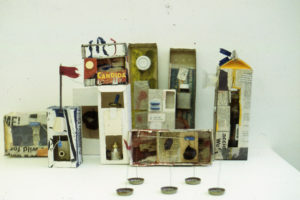 The relation between different objects would jump at him unexpectedly sometimes, while most of the time he would try different and possible relations and meanings in order to fix together some coherent little sculpture of box.